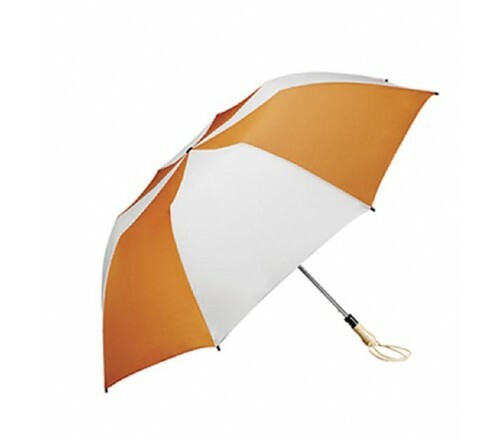 Personalized orange & white 58” arc traveler auto – open umbrellas make a great fashion accessory as well as an overpowering brand building tool. This umbrella is largely sought by marketers using these colors or combination in their brand profiles or targeting creative individuals, women, kids and teens. 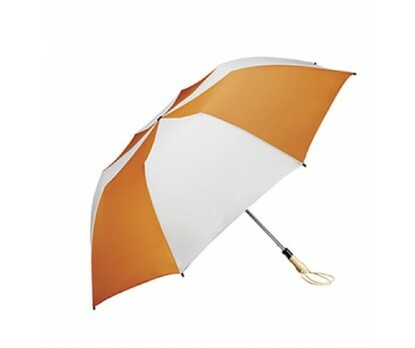 Logoed promotional orange & white 58” arc traveler auto – open umbrellas make an elite choice for an anniversary gift. Features - Strong wooden handle, 58” arc orange and white canopy, and metal shaft. Dimension – 58” arc closes to 22”. Imprint area – 12 1/8” W X 11 3/4 H X 6” Top.